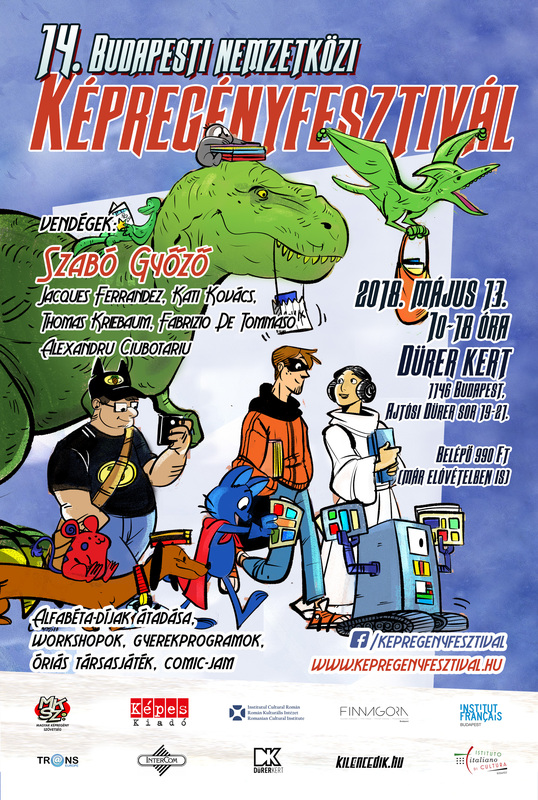 The 14th Budapest International Comics Festival will take place on May 13th, 2018 in Dürer kert. The official poster was created by Nóra Vincze. - Jacques Ferrandez (France), whose adaptation of Albert Camus' The Stranger was published in Hungarian by the Athenaeum publishing house in April. - Kati Kovács (Finland), whose second Hungarian-language comic album is published on the occasion of the festival by Nero Blanco Comix. - Thomas Kriebaum (Austria), whose first Hungarian-language comic collection is published on the occasion of the festival by Nero Blanco Comix. - Alexandru Ciubotariu (Romania), whose second Hungarian-language comic collection is published on the occasion of the festival by Nero Blanco Comix. - Fabrizio di Tommaso (Italy), cover artist of the first Morgan Lost comic book published on the occasion of the festival by Frike Comics. 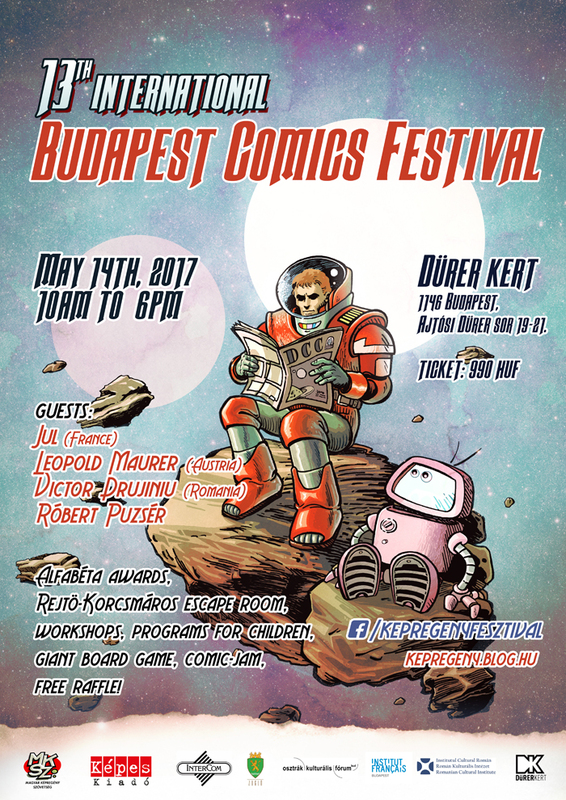 The 13th edition of the Budapest International Comics Festival will be held on May 14th, 2017, in Dürer kert. This year's international guests are Jul (France), Leopold Maurer (Austriia) and Victor Drujiniu (Romania). The official poster was created by József Haui. 11.30 Small Press Comics Publishing Series #1 – Finnished Comics. From Photocopiers to Professional Marketing. Development of the comics market in Finland, and how Fingerpori mesmerized the Finns. 14.30 Small Press Comics Publishing Series #3 – From festival to festival. International and Hungarian Experience. Comics artist and illustrator. Her first comics work involved editing of the Hebew version of Mad magazine, then she founded the Actus Tragicus group with a colleague in 1995. Elected young artist of the year in 1997, and one of her works was the best illustrated children's book that year. Her first graphic novel, Exit Wounds was published in 2007 and translated into several languages. 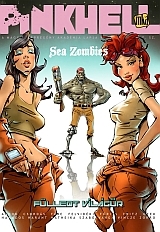 After gaining recognition in Italy and France, it won the Eisner Award in the US. Created short stories for the New York Times and various anthologies. Her next book, The Property was again a huge success and gained her another Eisner in 2014. Rutu Modan's participation at the 12th Budapest International Comics Festival is sponsord by the Israeli Cultural Institute. 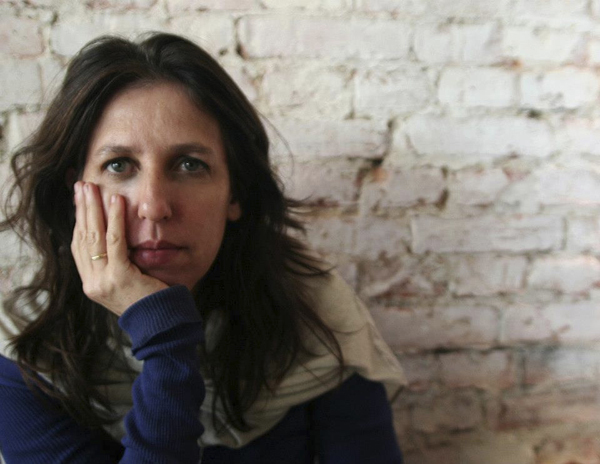 On this occasion, two special editions of her work will be published as limited editions: Your Number One Fan (2007) and Jamilti (2003) followed by War Rabbit (first published as Haut les mains, peau de lapin in 2009 in a French anthology, with script by Igal Sama). 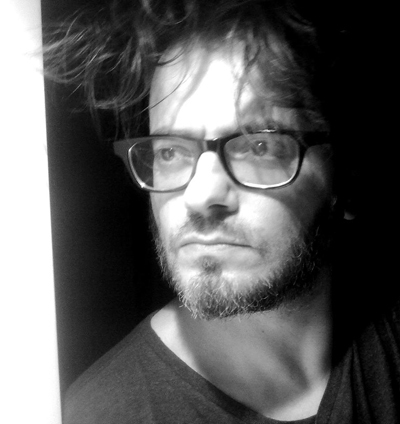 Comic artist, has been working fpr various Italian publishers since 1995. His best known series from these early years were Lazarus Ledd and John Doe. Also created shorter stories for magazines and then joined Bonelli in 2011, where five of his Dampyr books have appeared so far. Restarting the Hungarian Dampyr series, Frike Comics have chosen two stories drawn by Fortunato. 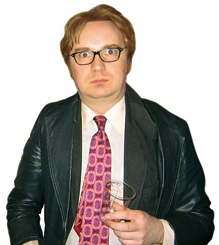 His participation at the festival is sponsored by the Italian Cultural Institute. 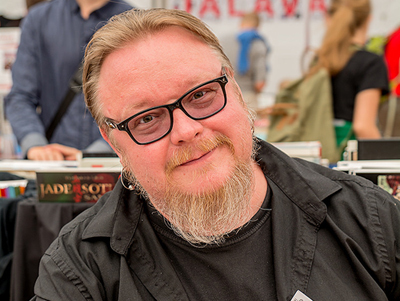 Comics artists, active since the late 1970-s, won the award of the Finnish Comics Society in 1991. Divides his time between drawing comics and making music. The special edition appearing on the occasion of the festival includes short comics with an autbiographicial theme. Comic artist, his first was published in 1991. 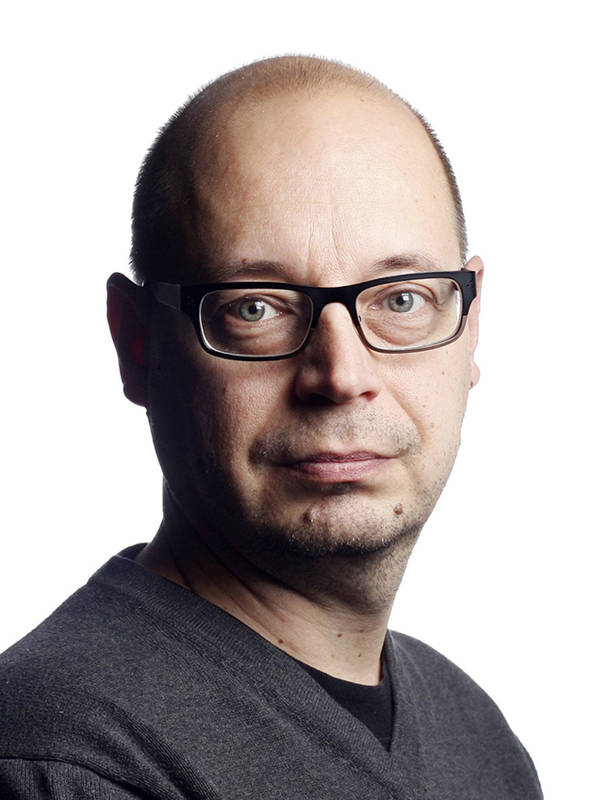 He first caught attention with his humorous series Fingerpori, published in Helsingin Sanomat. He has shown a very different side of this art with Captain Cherep, a story set at the time of the Russian Civil War (1919-22), which was pubished in Hungarian in 2016 by the Comicsmania publishing house. Comics artist and illustrator. Her particularly personal work can be honest to the point of being somewhat frightening. She will be presenting some of them at the festival. 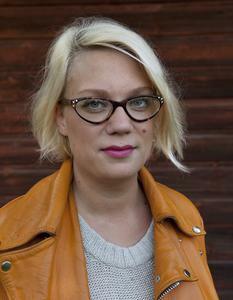 Director of the Arktinen Banaani publishing house, will do a presentation about the current situation of Finnish comics. 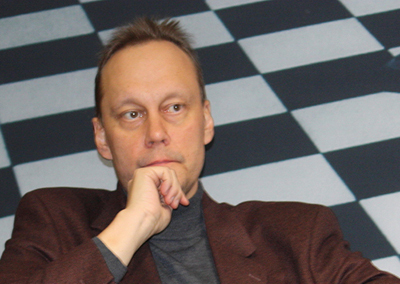 Journalist and critic, will present at the festival a project in which Emmi Valve also took part. 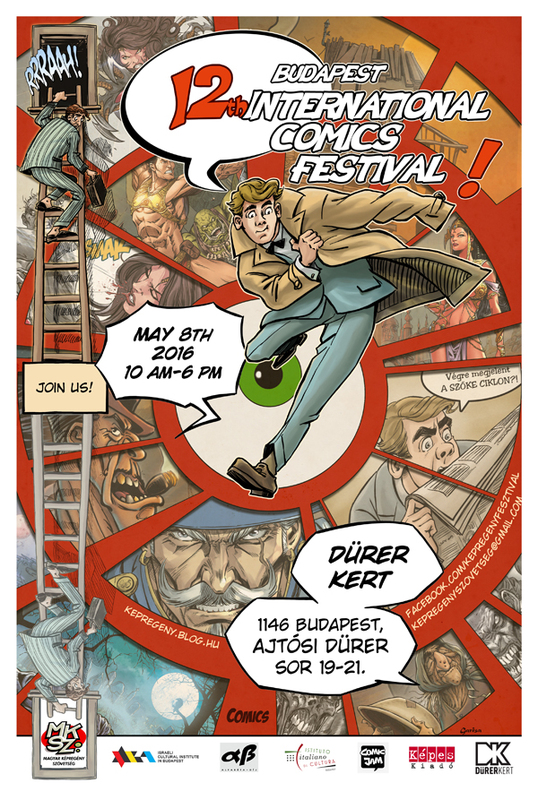 The 12th edition of the Budapest International Comics Festival will be held on May 8th, 2016, in Dürer kert. Details to follow.